Potomac Formation sandstone (also known as Potomac bluestone); on display at Smithsonian Museum of Natural History in Washington, D.C. Photo by Tim Evanson/Flickr (Use Permitted with Attribution/Share Alike). From D.C.'s Office of the Secretary; "Quarries along Rock Creek, and at Little Falls, Maryland, provided Washington, DC with building stone from the Piedmont’s Sykesville Formation, also known as Potomac Bluestone (Gneiss)." 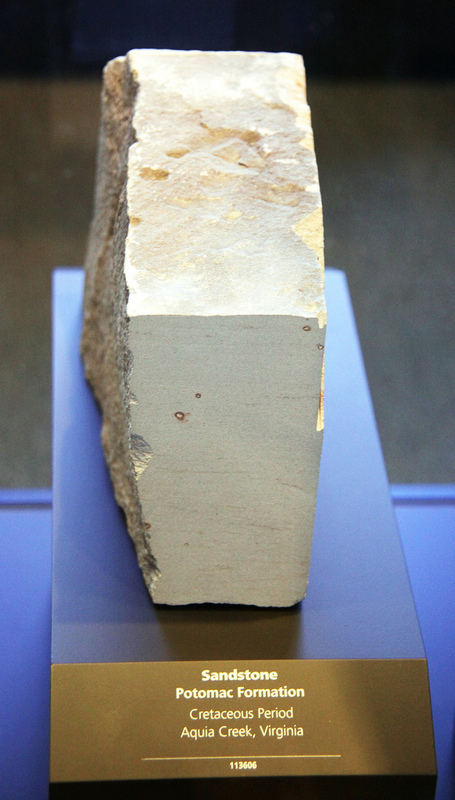 Called "the rock that built Washington DC," Potomac bluestone was used in the foundations of the White House, US Capitol, and the Washington Monument. Potomac bluestone (or Potomac sandstone) is a metamorphic rock that is relatively easy to carve. 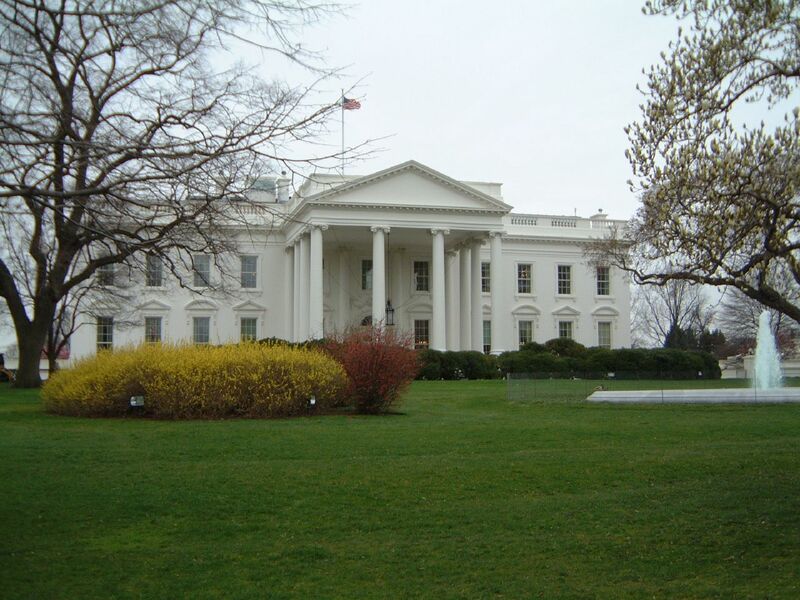 The White House in Washington DC; Potomac bluestone was used in the foundations of the White House, US Capitol, and the Washington Monument. Photo by Harriseye/Flickr (noncommercial use permitted with attribution/no derivative works). 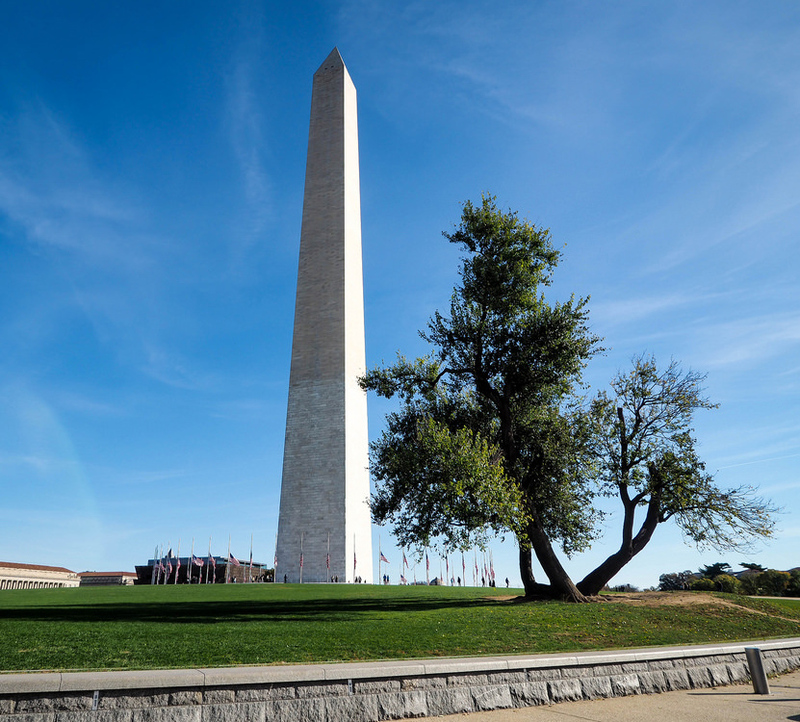 The Washington Monument; Potomac bluestone was used in the foundations of the White House, US Capitol, and the Washington Monument. Photo by erikzen/Flickr (noncommercial use permitted with attribution/no derivative works). 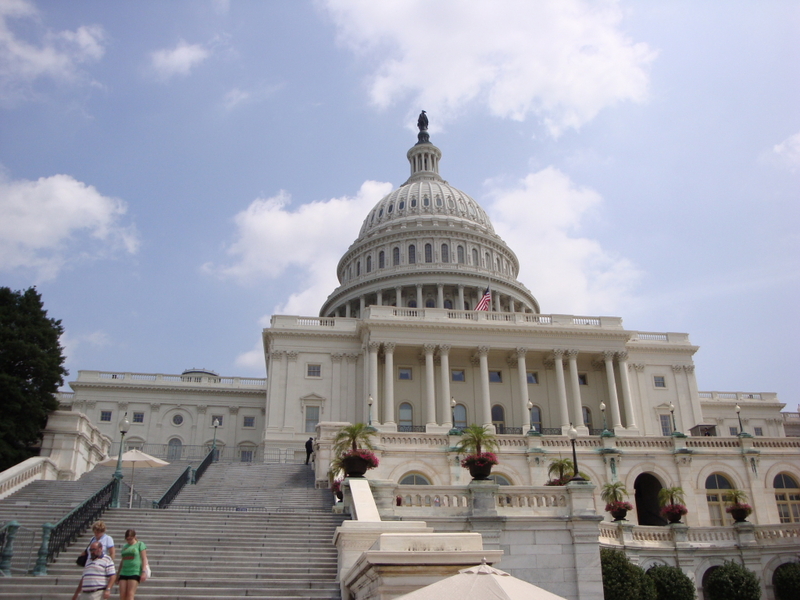 The US Capitol in Washington DC; Potomac bluestone was used in the foundations of the White House, US Capitol, and the Washington Monument. Photo by Kelli/Flickr (use permitted with attribution).